Peace Corps Online: February 8, 2005: Headlines: COS - Iran: University Administration: Hurrican Online: Donna E. Shalala recently spoke to the Hurricane's Megha Garg about her experiences in the Peace Corps. Shalala served in Iran from 1962 to 1964. 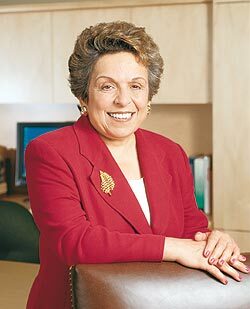 February 8, 2005: Headlines: COS - Iran: University Administration: Hurrican Online: Donna E. Shalala recently spoke to the Hurricane's Megha Garg about her experiences in the Peace Corps. Shalala served in Iran from 1962 to 1964. Peace Corps Online: Directory: Iran: Special Report: Iran RPCV, Cabinet Member, and University President Donna Shalala: February 9, 2005: Index: PCOL Exclusive: RPCV Donna Shalala (Iran) : February 8, 2005: Headlines: COS - Iran: University Administration: Hurrican Online: Donna E. Shalala recently spoke to the Hurricane's Megha Garg about her experiences in the Peace Corps. Shalala served in Iran from 1962 to 1964. Donna E. Shalala recently spoke to the Hurricane's Megha Garg about her experiences in the Peace Corps. Shalala served in Iran from 1962 to 1964. UM President Donna E. Shalala recently spoke to the Hurricane's Megha Garg about her experiences in the Peace Corps. Shalala served in Iran from 1962 to 1964. The Hurricane: What motivated you to apply for the Peace Corps? Donna Shalala: I was tired of school and I wanted an adventure. I was interested in other cultures and I thought I'd learn something about the world, which I did. I went after I finished my undergraduate studies before I went to graduate school. I learned a lot about myself; I learned a lot about the world. I understand now what the poorest places on earth look like and feel like. TH: Where did you go? DS: Iran. I lived in a mud village-water and dirt-in southern Iran. They offered me a number of different countries. My family is from Lebanon, so I was happy to be assigned to the Middle East. I taught English and did some development work. I was there for two years. TH: Were you ever scared? Did you ever think, "What am I doing here?" DS: I think it's fair to say that everything was a surprise. Living in another culture was another surprise. Living in a mud village was a surprise. But when you are 21 years old, you are fascinated with everything and you have the energy to do that. I wasn't afraid of anything. My parents were always scared for me, but I couldn't describe it as life threatening. I had some people put guns in my face when we passed checkpoints, but can't say that I ever had any great fear. 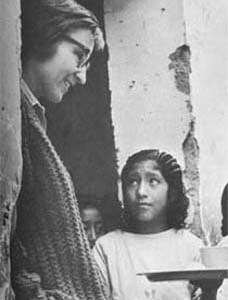 TH:What kind of person would gain from the Peace Corps? DS: I think that for students that want to become world citizens there is no better experience. It gives you an experience at a very young age about other cultures, whether you are going on into medicine or law or anything, especially before you go to grad school or move on to your career. You have to have a sense of adventure. You have to be ready to try something new, open to new ideas. Let me put it this way-when I ran a graduate program in Columbia [University] in political science, we accepted almost everyone who was in the Peace Corps. The Peace Corps is for people who really want to see the world from the bottom up. TH: Any lasting relationships from your experience? DS: There's a rug in my office from a woman who taught Peace Corps volunteers, and she remembered how much I loved her rug. When she died she had it shipped to me. Every once in a while a former student from Iran calls. TH: How did the Peace Corps change you as a person? DS: I think it made me a world citizen, a more international person. It makes me more sensitive to the people around me. It was a fabulous experience. It's still the best professional decision that I ever made. I was better as a Peace Corps volunteer than at any other point in my life. I was a better volunteer than I am a president. Megha Garg can be contacted at m.garg2@umiami.edu.